Hmmm…this is an insightful article that every music lover must chew,swallow,digest and regurgitate on. It vividly spells out what music should. Its a pity that Naija musicians have latched on commercial music and quick money mentality-get the crowd jumpin’. (Though we sometimes need to dig it up). I was intiated into music by my elder bro,over 2 decades now. We spelt with it,woke up with it…MC Hammer, Bobby Brown,Kriss Kross,Patra,Shakademus and Pliers, Adewale Ayuba,Segun Adewale,Micho Ade, Obey,Sunny Ade,Elemure,…were for the day…oldies RB, Boyz II Men, Mariah Carey,Phill Collins was for the night ( our dear sleeping pills). As I grew up, Kirk Franklin,Bob Fit,Ron Kenoly got the good me, while the emerging hip hop renaissance in Naija got the other me-Pretty and Junior,Blakky,Pst Goody Goody,Plantashaun boys…We bragged about this back in Secondary schl days.As a young adult.that thing call’d Love hit my heart with its virus,inexpressive and numb was I often times,in venting my pent up emotion;music was my first aid. As long as I live, Do i promise you I do…Boyz II men’s lyrics, Styl Plus’s runaway…R n B, classical tunes,rich hymns,clean tunes get me off balance. Waoh! *wonna stop typing* I won’t just decorate my body(new wears and footwears),but ll decorate a life(at leat)Thanks LQ. You always an inspiration. Value you so much! Hey L’Queen! Happy nu month…This is anoda lovely write-up. I love music…a lot actually,Music does alotta things to me.It affects a great deal of my life.I listen to music according to my mood…I dnt knw if any oda person does dat tho…Music is basically entertainment,but looking beyond dat,its functions are pretty much unlimited!Yes,music brings back memories…both sad nd happy…but in my case,it hasn’t healed a broken heart. (Av neva bin heart-Broken ^_^) …It may help others tho…Music is gr8,nd music is Life. Hav a lovely week ahead. Lovely!!! I got to say I agree wif u 100%. 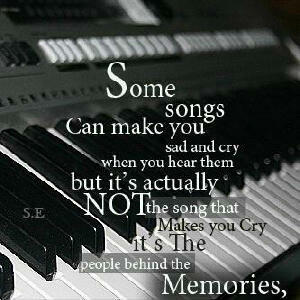 Music helps the mood, and sumtyms some songs jes remind u of tinz uve done in the past! For me d’banj songs help me revive my mood!!! And some other songs too sha ! Again nice one thumbs up! Happy new month btw!!!!! Lol. I can relate to this write up. Keep it up L Queen.